The new Bosch Slide-in Range fits in any Freestanding Range Cutout. Bosch ranges ensure your favorite dishes always cooked to perfection. Bosch has brought about a wide range of stove and ovens. Bosch kitchen range has all the powerful cooking and cleaning features we looked for in the best electric ranges. 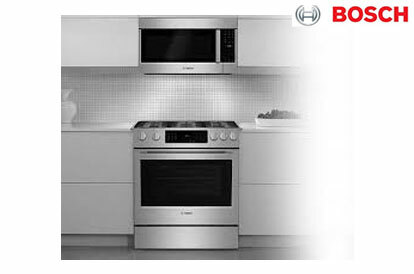 Bosch ranges and ovens boast innovative technology and with their stylish glance. Ranges with the most energy-efficient option that heats food quickly and lets you precisely control heat level. Dacor ranges cook every meal with power and precision. Dacor electric ranges and stoves offer versatile cooktop elements with utmost beauty, style and flexibility. Dacor ranges’ construction quality is exceptional, features of a true convection system. The fan in Dacor ranges are itself heated so that the cooking is more even. 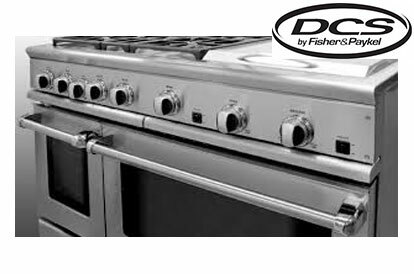 DCS Kitchen range is full of features. It has power and precision and all the user conveniences we looked for. Featured with huge capacity electric oven range with true convection and easy clean. It provides a genuine convection for even baking result on multiple levels. Owners are very complimentary about the ease of use of the control on DCS range and stove. KitchenAid provides a high quality kitchen range and stove that majority of owners find performs as expected and is easy to live with. Gas and electric fuel type ranges for energy efficiency, temperature control and even cooking. Kitchen Aid features easy-to- clean and ignites cooktop surfaces. The kitchen Aid is a quality stove and it is affordable as well. It has two powerful expandable burner, power boil and warming element. Miele electric ranges and stoves are engineered to fit flush to your cabinetry for a seamless built-in look to complement your kitchen. Miele ranges has a specialized stovetop, double convection oven and an organized control panel, making it a family-friendly electric range. This electric range has useful extras like a temperature probe and pizza button. 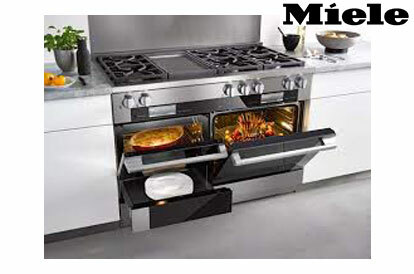 Miele appliances are featured with ultra large capacity, true convection and easy clean. 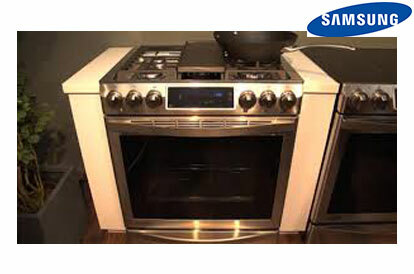 Samsung induction ranges provides fast, efficient and more convenient heating with a cool-to- the- touch cooktop. Also uses a fan to continuously move air around food for even cooking. 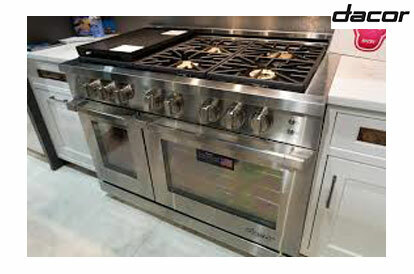 With a combination of advanced and basic features, this electric range is a good fit for cooks of most skill level. Samsung provides cooking with power up to 3,000W, therefore your new electric range will heat different sizes of pots and pans quickly as well as evenly. 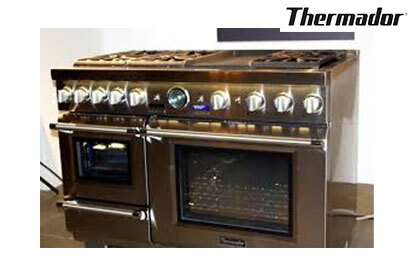 Thermador ranges are sleek and stylish ranges with front controls for easy access. For busy families or new comers to the kitchen, this electric range has a pizza button that adjusts time and temperature to suit fresh and frozen pizzas. Thermador range is perfect for roasting meat and notifies you when your food reaches the target temperature. This shortcut is a major breakthrough for large families in need of a quick meal. Thermador has a self—cleaning cycle that produces high temperatures and reduces food soils to dust. Depending on the level of mess inside your range, the heat cycle can take two to four hours to complete. This feature is powerful. Viking ranges fits easily into apartments, condos and smaller homes. The huge oven, multiple burners and easy-clean features make this model a good fit for large families. 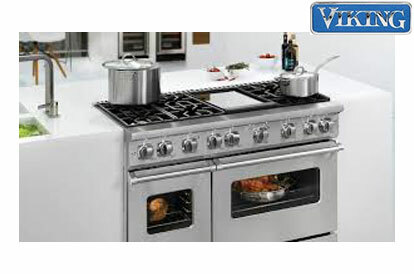 Viking range has a large cooing capacity, having five burners with one expandable element. 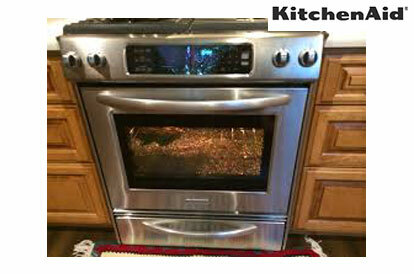 We are specialist viking range repair in pasadena.